The first step is to discuss what you want to achieve and how Matt can support you in your pursuit of getting better. Once that's identified, he will then work through the movement assessment (designed by the Gray Institute of Functional Training) which will involve using the 3D Maps Movement Analysis & Performance System, which is the most innovative way to effectively analyse the entire bodies movement. Then, by matching up what you want to achieve and your bodies capabilities, a training plan can be set and you can start the journey towards your goals. You can expect to work hard and possibly even get homework as Matt looks to work with people who are keen to embrace a lifestyle. 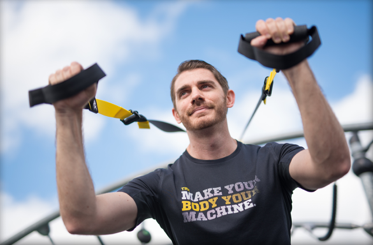 Workouts will be suitable to your fitness ability and goals and Matt will challenge you in new ways in order to get you where you want to be. You'll have fun, feel the difference and make a long-lasting change for the better.